Background/Info: BeWider is a solo-project from Italian musician/producer Piernicola Di Muro. He’s an experienced musician/composer who mainly worked on the music/soundtracks for film and television. He set up BeWider in 2013 and previously released an EP. This work looks more like a mini-album featuring 6 tracks. 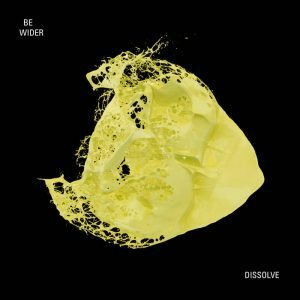 Content: “Dissolve” sounds pretty electro-evasive like and you rapidly recognize the soundtrack experience in the global approach. But BeWider also experiments on other sonic paths injecting elements of pop and even a kind of trance-feeling in the opening cut. Quite progressively the work evolves towards explicit ambient- and cinematographic passages revealing vintage sound treatments. The work remains mainly instrumental although I noticed sensual female vocals on “Beneath The Sky” while “Dust Orbs” features half-spoken like male vocals. The songs remain driven by an electronic reverie, which during the last song reminds me a bit of the music of “Twin Peaks”. + + + : I like the evasive sensation running through this album, which is really reaching an ultimate point on “Evolve”. “Dissolve” is not exactly what I should call an original album although composed with a refreshing sound approach. I like the multiple bleeps and somewhat sensual slow cadence. 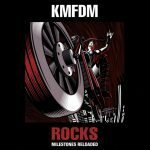 There are a few little pearls featured here and I especially like both cuts featuring female vocals. 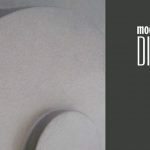 – – – : “Dissolve” is an enjoyable and beautiful work, but the delicious evasive styling is not exactly the kind of music you’ll keep in mind. I’m missing a more club-minded approach, which could have been an idea for a remix as little extra to the original album. Conclusion: “Dissolve” is the prototype of a beautiful and well-crafted soundtrack-minded work. It sounds refreshing and accomplished, but not exactly the kind of album that will make people wild. It’s the right opus to dream away and simply relax on a lazy Sunday afternoon. Best songs: “Evolve”, “Beneath The Sky”.